My name is Helen Graves. I’m a freelance recipe developer, food and travel writer and editor. I’ve written for publications including Food & Travel; The Guardian; National Geographic Food; The Times; Sainsbury’s Magazine and others. You can see some examples of my work on this page. 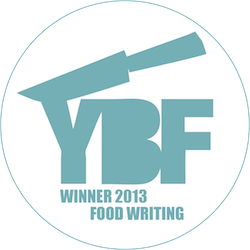 In 2013, I won the Fresh Faces in Food Writing Award at the Young British Foodie Awards, which was very nice (even if I did nearly trip over the stage and headbutt Yotam Ottolenghi while accepting it). 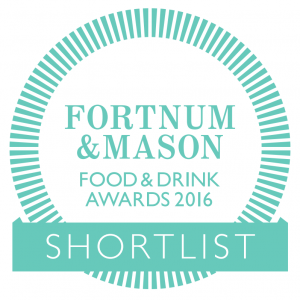 I was also shortlisted for online food and drink writer of the year at the Fortnum & Mason Food and Drink Awards 2016. I started this site 10 years ago and it has been through various phases, which you can get a better idea of by reading this post. I now write about recipes, travel and anything that takes my interest around London. I tend to focus on the South East as I live in Camberwell but I am always on top of the London restaurant scene as a whole and previously held the positions of Food and Drink Editor at Londonist and Group Editor at Just Opened London. I am addicted to sandwiches and I occasionally write another blog called The London Review of Sandwiches. I have also written a book about the best sandwiches from around the world called 101 Sandwiches, published by Dog ‘n’ Bone books. I used to work in health psychology research and have recently submitted a PhD in the field of psychological medicine. Other things that I love are carbs (no clean eating here), cats (not for eating), crabs (my favourite food) and kebabs (proper ones, not ‘elephant legs’). I have two furry housemates called Chaz Michael Michaels and Delia Smith and one human one called Donald. “Helen has written numerous features for our two papers, The Peckham Peculiar and The Dulwich Diverter. She’s great to work with – always very quick to respond and extremely reliable. Her copy is consistently excellent – engaging, well researched and filed on time, often to tight deadlines. We would highly recommend her!” – Kate White, Co-Editor, Peckham Peculiar, Dulwich Diverter, Lewisham Ledger. “When commissioning work, be it for clients or for our own editorial projects, I jump at the chance to work with Helen. With every brief, Helen will always come back with inventive, well-researched and downright drool-worthy recipe ideas that make me wish I possessed limitless budget! Her ideas really tap into that special something that our readers want – an authoritative voice that truly understands good cooking, next-level flavour combinations and exciting dishes from around the globe. My agent is Jennifer Christie at Graham Maw Christie.